Among the final witnesses to testify was a former FBI agent who said Laquan McDonald's killing wasn't justified. Prosecutors pursuing murder charges against a white police officer who killed a black teenager in Chicago rested their case on Thursday, clearing the way for defense lawyers to begin calling witnesses next week. Among the final witnesses prosecutors called on Thursday in the murder trial of Jason Van Dyke, 40, was Urey Patrick, a former FBI agent and excessive force expert, who said the Oct. 20, 2014, killing of 17-year-old Laquan McDonald was unjustified. McDonald had been seen carrying a knife and breaking into cars. After police arrived, he slashed the tires of a police cruiser and refused to follow commands to drop the weapon, officials have said. Van Dyke fired 16 shots at McDonald seconds after he emerged from his vehicle. Patrick said McDonald did not present an imminent danger to Van Dyke when he began firing — the standard a police officer must meet to justify the use of deadly force. "When Mr. McDonald went down, [that] clear threat ended," Patrick said, according to NBC Chicago. "When he went down, the shooting should have ended within a second or two." "Ten seconds later," he added, was "unreasonable." During cross-examination, Patrick acknowledged that McDonald — who was found to have the hallucinogenic drug PCP in his system and who hadn’t complied with police orders — "conceivably" could have still posed a danger to Van Dyke, NBC Chicago reported. But, Patrick added, the knife wasn’t within reach of Van Dyke, so it didn’t present an immediate threat, the station reported. McDonald's killing sparked angry protests after a body camera video showed McDonald carrying a small knife and walking away from Van Dyke when the officer opened fire — as well as Van Dyke repeatedly shooting the teen after he collapsed on the ground. 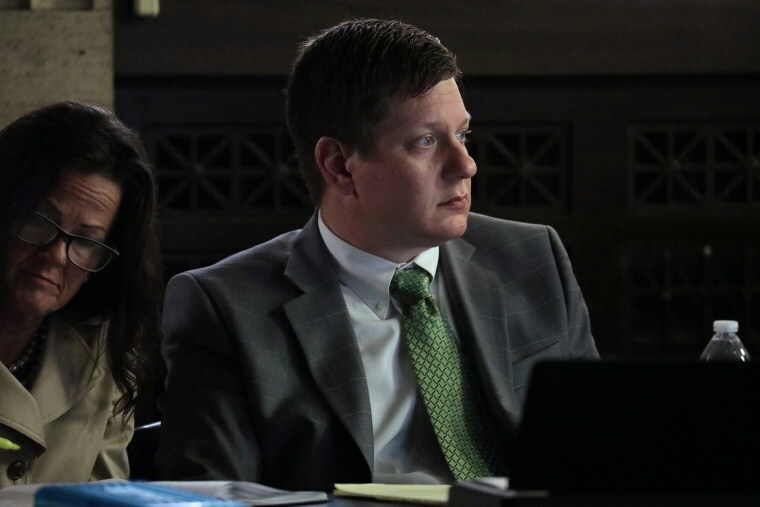 One of Van Dyke’s lawyers, Daniel Herbert, has argued that his client was not a murderer, but a “scared police officer who was fearful for his life and the life of others and acted as he was trained to do." Police resisted releasing the video for a year, and three officers were later indicted for various crimes related to a cover up in McDonald's killing, including providing false statements that made the teen appear to be more of a danger than the footage showed. Other witnesses called by prosecutors included Jose Torres, who saw McDonald’s killing, and an FBI special agent who testified that McDonald fell to the ground 1.2 second after the first shot was fired, NBC Chicago reported. Van Dyke continued shooting for another 13 seconds. His lawyers, who were denied by Cook County Judge Vincent Gaughan after requesting a "directed verdict" of not guilty on Thursday, are expected to begin calling witnesses on Monday.